DSpark has partnered with oOh!media, Australia’s leading Out-Of-Home company, in a study aimed at helping advertisers reach Chinese tourists, Australia’s largest spending segment of the inbound tourist market. DSpark access to rich mobility data and its Mobility Genomes has allowed it to study where, when, how and why Chinese tourists move in Australia, based on their mobile roaming data. Some of the key insights from the study include how suburban shopping areas saw the highest frequency of visits. For example, 15% of all Chinese travellers observed in the study visited Sydney’s Chatswood Chase shopping mall three or more times during their stay. The top 10 shopping areas for those visiting Australia for over 30 days, were also all in suburban areas. These insights are all the more valuable as there has been little information available, apart from flight arrivals data, on how businesses can better engage the lucrative inbound Chinese tourist market. 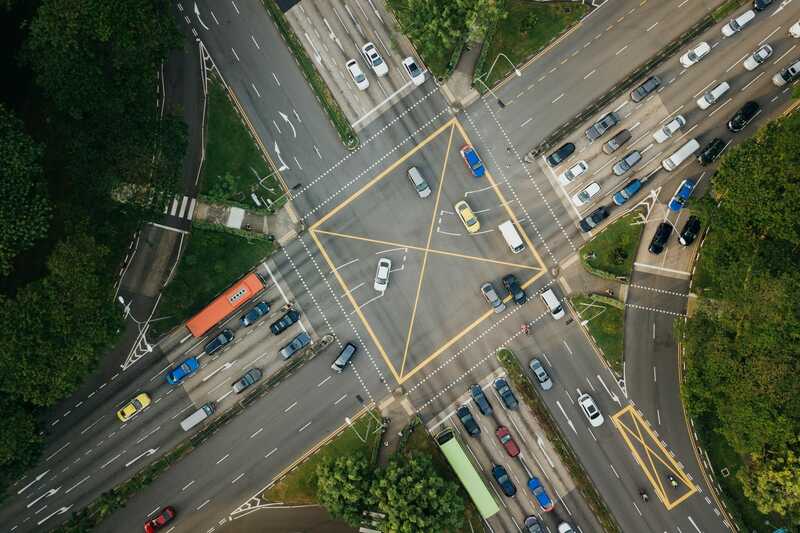 The study will help advertisers understand how Chinese tourists move around Australia and identify popular suburbs, roads travelled, and key shopping locations. This information can be used to map out oOh!media’s asset locations and provide a more meaningful advertising package to its clients. The news of the collaboration was announced at the ADMA Data Day conference held in Sydney in February 2018. More information can be found here. DataSpark Pte Ltd held its inaugural hackathon on 24 and 25 February 2018 at SMU Labs, received overwhelming interest from across Singapore and saw 85 students from 24 teams competing for prizes worth S$5,000. Most workers work regular hours on weekdays, often having fixed travel routines between home and work. We studied these regular commute patterns to examine whether the region you work in affects how you move. 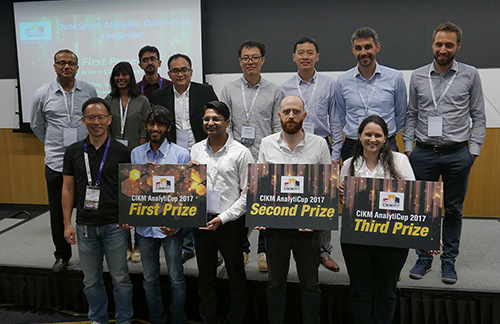 DataSpark Pte Ltd’s Mobility Open-Task Challenge at CIKM AnalytiCup 2017 attracted researchers from around the world to find creative and meaningful solutions to crucial problems in Singapore.